Log in to view extended details. 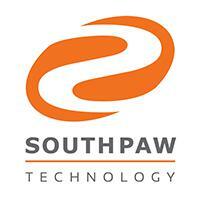 Southpaw Technology is the commercial company behind the ever expanding and open source TACTIC� web framework. Southpaw offers proprietary products and global support for TACTIC. All Southpaw Solutions and Applications utilize the core functionality of TACTIC. TACTIC is unique in the market in that it offers a way to handle, manage and secure large amounts of data and the workflow associated with the creation, distribution, protection and monetization of these corporate assets across a large global enterprise. If the vendor operates through a sales channel they may use intermediaries who have regional focus or additional specialisms in a given vertical market. This refers to the type of licence the DAM system software is supplied under. Proprietary means that the developer restricts access to the source code (the instructions used to generate the software). Open source means that the developer provides full access to the code so you can modify it yourself. Split model is hybrid and means they may offer both options with some restrictions removed (or added) depending on the model chosen. If split is selected, it is advisable to verify the differences with the vendor. TACTIC is available to companies under the Eclipse Public License, an OSI (Open Source Initiative) approved open source license. For companies, institutions and organizations that prefer or require commercial licenses, Southpaw offers a commercial license for TACTIC. If the vendor has indicated they offer an open source or split model licence (i.e. both open source and commercial options) then for the open source element, they should be able to provide an OSI (Open Source Initiative) approved licence. If one is not specified, their product may not be genuinely open source. CherryPy, Apache, Postgres, SQLite, Python are used in the TACTIC platform.